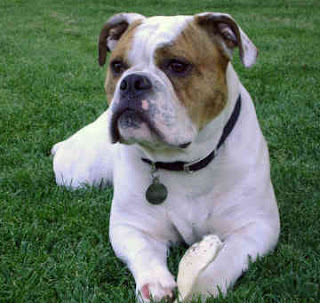 Old English Bulldog was the extinct and this gave birth to the Olde English Bulldogge breed. Bullmastiff, American Bulldog, and Pit Bull were use to create this breed. It was created in 1970. Olde English Bulldogge is a healthy breed and medium-sized. They are heavy, elastic, forceful and alive. The Olde English Bulldogge is loyal, trustworthy, and stable. If the family is in threat they are highly capable of protecting there family but in general they are loving and cool. Children’s, pets and other dogs who have been raised with Olde English Bulldogge feel safe with it. The coat of the Olde English Bulldogge is short, close-fitting, and fine in texture. This breed needs socialization which is recommended. This dog breed is wise and eager to make his master happy. Despite they are also stubborn if they are handled harshly by their owners and trainers. Training must be done with motivation, consistency, fairness, and patience. The Olde English Bulldogge will do well in an apartment. They can be destructive if they feel bored. This breed likes to chew, so it is important to provide a safe variety of chew toys. Olde English Bulldogge's thrive on therapy work, agility, and family play. Bathing should be done when necessary. Casual brushing is recommended. The Olde English BullDogge are generally a healthy breed because of their recent inception by the selective cross breeding of several breeds, They are prone to such health issues as bloat and have a low incidence of hip dysplasia.